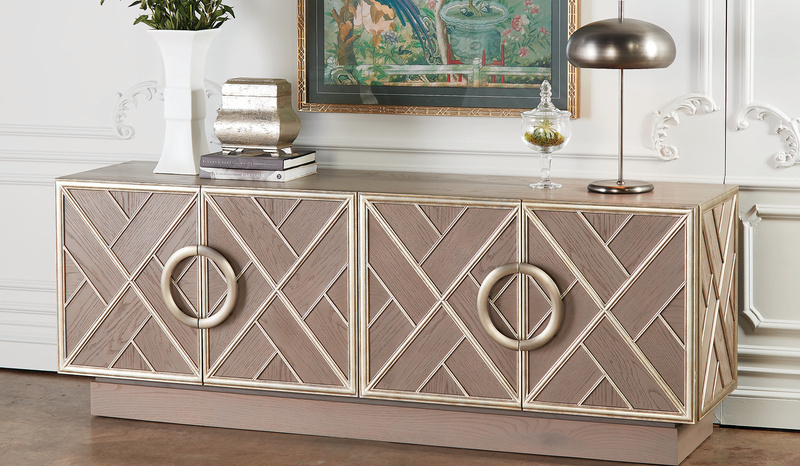 The Grande Fret Hurricane design was inspired by a wooden fret detail found in the crown of a tall dresser in the Williamsburg Museum collection. The shape of the fret was reinterpreted in hand forged iron. The Iron has a rich antique nickel finish. The metal back is the perfect balance for the enormous hand blown hurricane.